TalentGuard is a global provider of competency-based talent management solutions delivered as Software-as-a-Service. Our cloud-based software suite is unmatched in its ability to engage and retain employees. Our integrated technology helps organizations automate performance management, 360 degree feedback, career pathing, succession planning, individual development planning and certification tracking, and is seamlessly integrated with HRIS, Applicant Tracking, Compensation Management and LMS. Talent Management Suite Reviews Recently Reviewed! Comments: TalentGuard is a product built by passionate people in the HR industry that saw a need for an easy to use corporate software solution that manages all things around HR, training, & compliance. 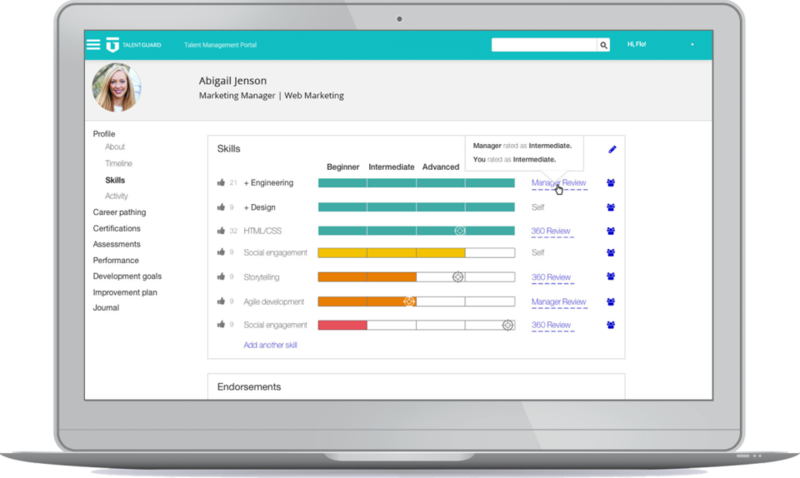 TalentGuard specializes in HR best practices but additionally has partnered with an industry-leading LMS to bring learning management into the HR space. TalentGuard offers certification tracking that will then tie into the LMS(Bridge). They truly have it all. Most of the time you get a company trying to do it all and maybe do one thing well and everything else mediocre. Well, TalentGuard knows their expertise and partners with someone else who has an expertise in the other area to create an exceptional product. Beyond the product, TalentGuard is lead by CEO, who has an immense amount of experience in the HR world. She knows the pain points in HR, understands the software world and she set out to solve a real problem by combining all her passions and abilities. She is an outstanding leader. Beyond the product and Linda, Talentguard is high touch and when you are a customer you have a relationship with them. They help you through the process and are always there for you as you go...and they know you as a person/company. Recommendations to other buyers: Ask all the questions upfront, to ensure the product can do everything you need now and may want in the future. Great career pathing tool to drive employee engagement, development and retention! Pros: EthosEnergy's experience with TalentGuard's Performance Management module has been successful. We are happy that we selected TalentGuard rather than some of the larger players within the market space. The value the product created far outreached our expectations. TalentGuard's high-touch Customer Success team went above and beyond to ensure we had a smooth onboarding and launch experience. My success manager actively collaborated with us to configure our program and efficiently handled many of our set-up tasks. I would recommend using this tool because it offers deep functionality at an affordable price point and the Customer Success Team is truly focused on our success. Cons: The customer support team is great at finding creative ways to work around some of the product limitations, but there still are product limitations. Be prepared to alter your process slightly to fit their design. Cons: Machine learning in an early stage, important for availing this technology to non-English speakers. Pros: This tool is easy to use when processing 360 feedback on a team member. The reporting is incredibly useful when trying to identify goals and performance plans. Cons: Navigation can be a bit tricky at first, but comes with experience. Users just have to dig in and get familiar with the content options provided.